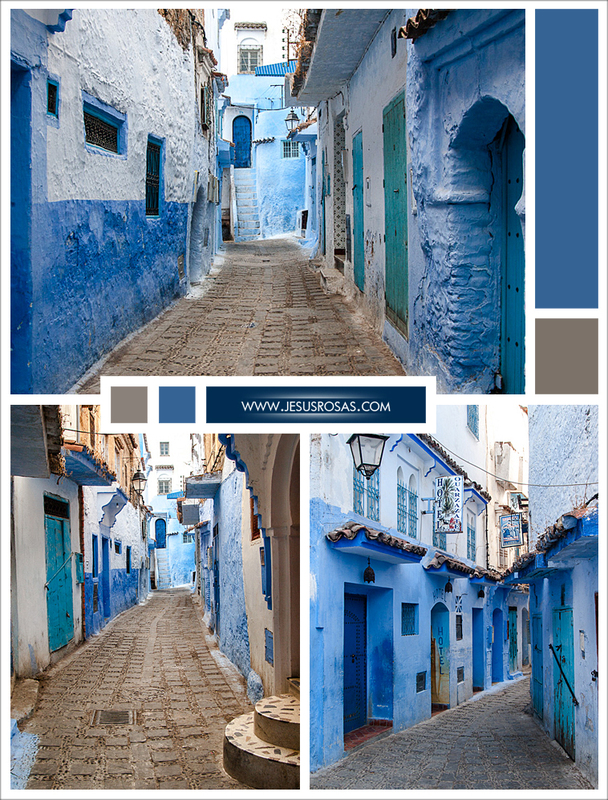 Chefchaouen, also known as the Blue Pearl, is a small mountain village in the northeast of Morocco. Remember my post Want to Take a Look at Pátzcuaro? I showed you a village in white and red. 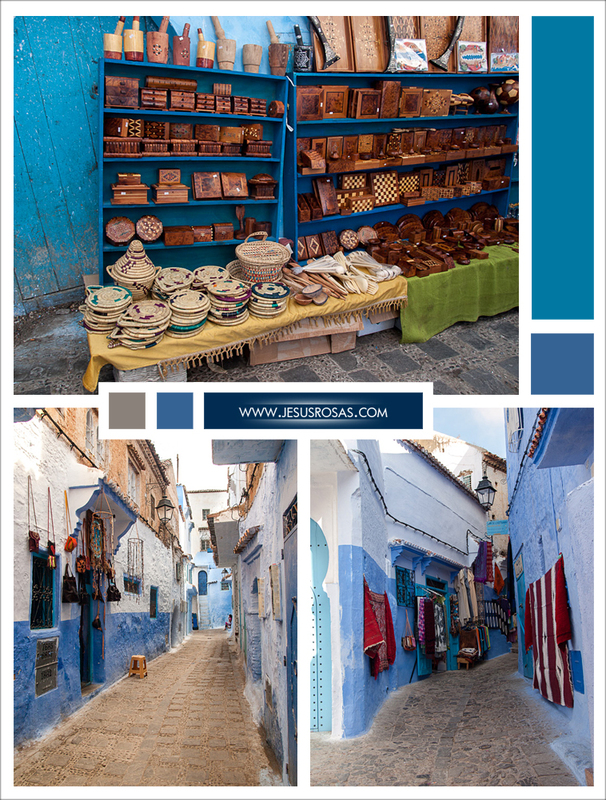 This time I’m showing you Chefchaouen. 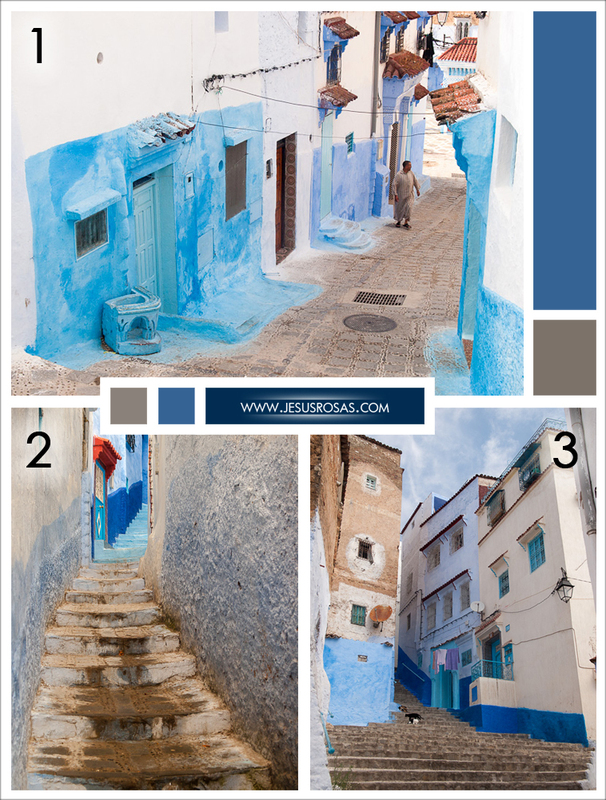 Chefchaouen’s vivid homes boast a combination of white and blue. If you like photography, you will enjoy the many picture opportunities you will find here. 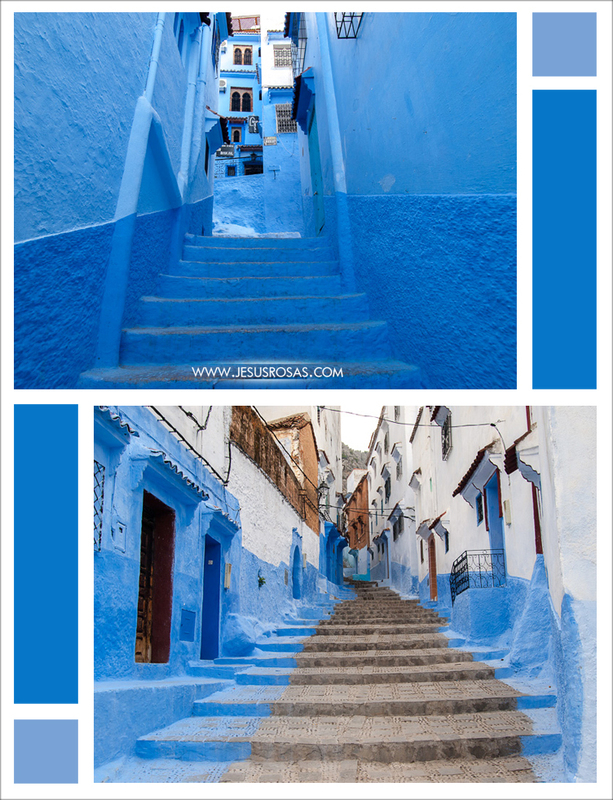 I have some things to say about Chefchaouen, but if you want to skip all the words and go right to the pictures, scroll down or click here. 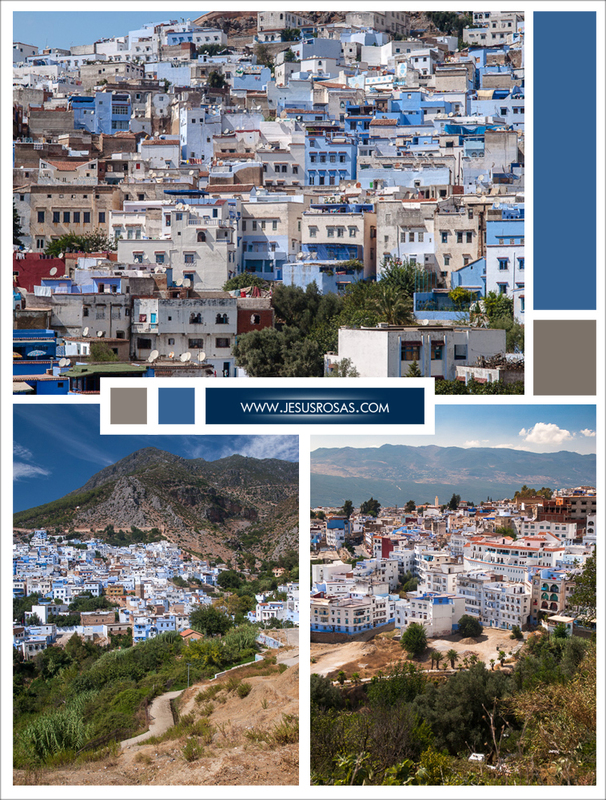 According to some tourist guides, Chefchaouen comes from Berber language and means “look at the horns.”  This is because of the shape of the mountain peaks over the town. 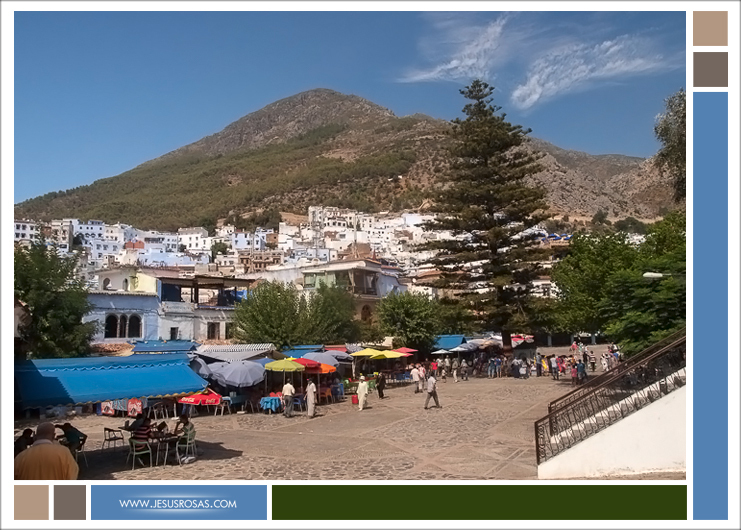 Chefchaouen is also called Chaouen, Chawen, or Xaouen. 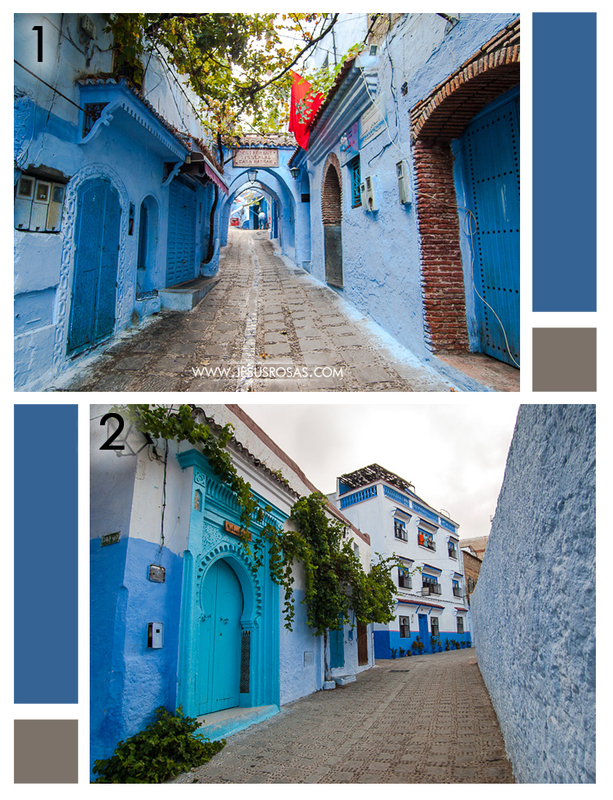 And if you want to know where Chefchaouen is, take a look at the map below. You can zoom in and zoom out. 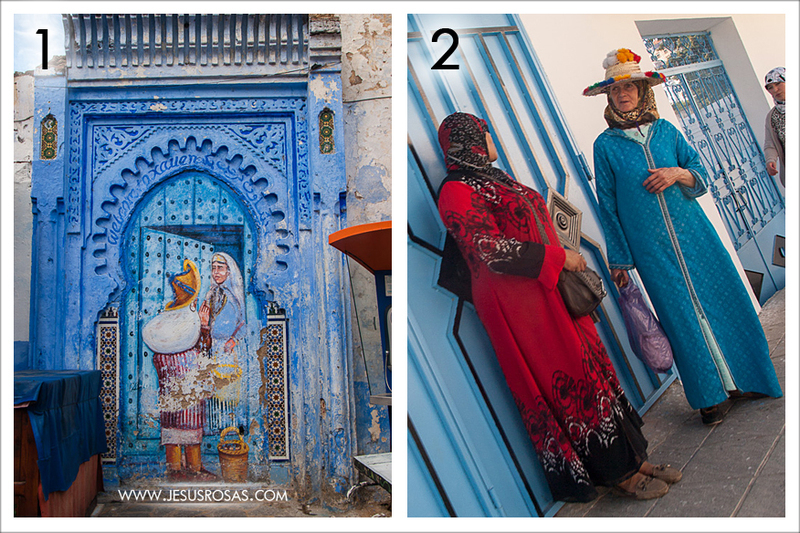 See the pictures I took of Chefchaouen here! 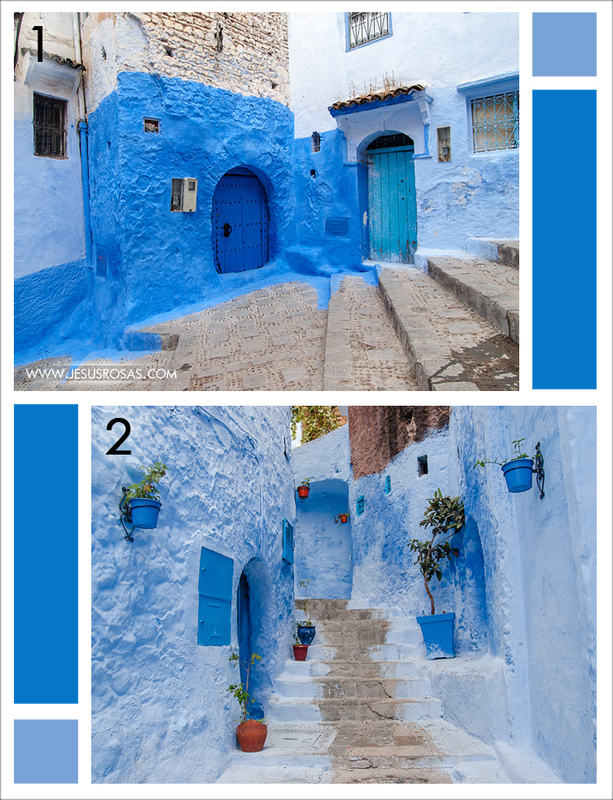 I heard about Chefchaouen just by chance in Casablanca. I was visiting a family, and one of the young girls mentioned a recent school trip there. I was fascinated by the description that I did some research and in a couple of days I was heading over there (short layover in Fes). After touring Fes (I’ll show you Fes in a future post), I went to the bus station and got on a bus that said Tetouan (to get off in Derdara). I got a window on the right. A boy sat next to me. He seemed to just have received some money. Within few minutes he bought a couple of things sellers offered on the bus. He even bought a watch. I too bought something local to eat and shared some with him. We didn’t chat much. The less-than-three-hour ride on the bus gave me a nice glimpse of some parts of northern Morocco. I saw some water extensions of Al Wahda Dam, the second largest dam in Africa. I was marveled by the clean blue I saw. I remember taking a few pictures of it from the bus when the boy tapped my shoulder; I turned and with a very proud smile he said “Le Maroc” (Morocco in French). Some time later I arrived to an intersection on the road near Derdara, which is about 8 or 9 km from Chefchaouen. I had to take now a share taxi, but one of them wanted to charge me twice the price so I just walked away. A few steps away, I met four German tourists who invited me to join their group. They seemed nice people, but they were getting back from Chefchaouen and were now heading in another direction. We chatted and then I went back to the taxi station where I found another driver that charged me a fair price. I was dropped off near the medina or ancient part of Chefchaouen. I had been warned that some locals would approach me to offer me accommodation or drugs. Drugs are widely sold there. There are many marihuana plantations around. So, as soon as I got off the taxi, I walked fast with confident steps as if I knew where I was going when in fact, I didn’t. I just went up the hill between some homes until I found a spot with less people and then start looking at my map and surroundings. Since I arrived without reservations, I looked for a hotel. Most of them aiming tourists from Spain and charging prices in Euros. 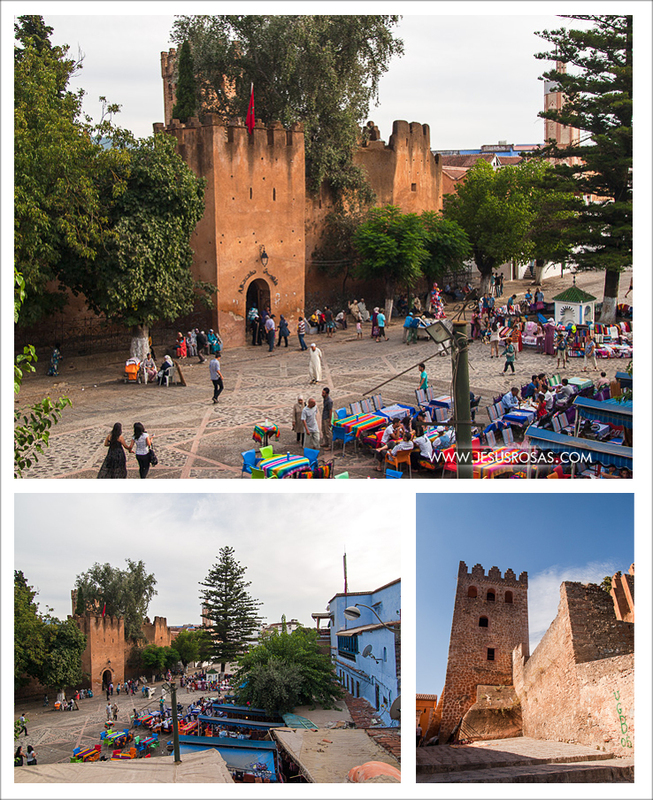 After some walking, I found a more affordable hotel, I did some barging and got a nice place near the plaza next to the old fortress or kasbah. Once there I left my belongings and went for a walk to take some pictures. I was amazed by the beauty of the town. I enjoyed seeing and hearing Spanish, English, French, and Arabic everywhere. I liked that since I speak Spanish, English, intermediate French and some Arabic. However, Moroccan Arabic is a lot more different than the Egyptian and Levantine Arabic I was more familiar with. I couldn’t understand the locals when trying to speak in Arabic. I wanted to practice with them, but to my surprise Spanish was very common among them and I felt silly asking for directions in my broken Arabic when they would start speaking to me in Spanish or French. 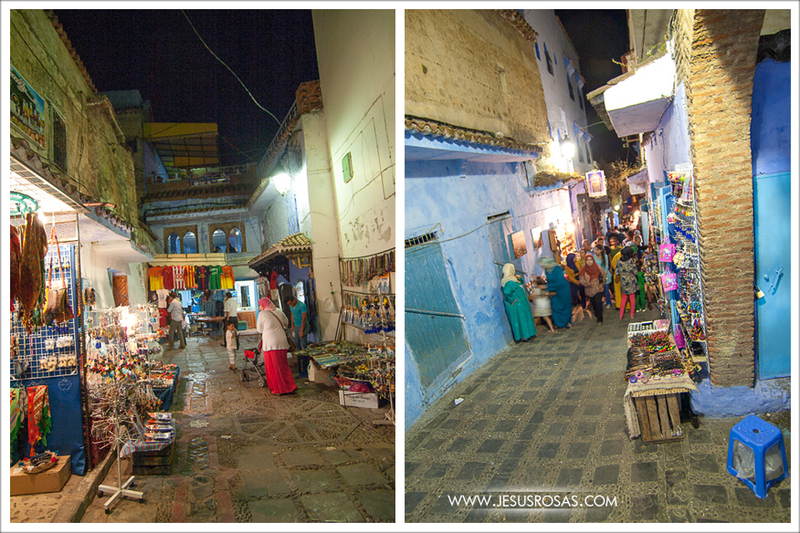 The old part of Chefchaouen had many places too crowded. There were some people speaking loud. People on that part of the city seemed to be buying and selling all the time. And there were also several tourists. On the other hand, on the higher parts of the town, there were nice streets that didn’t have many people where you could sit and relax. In my hotel, at the lobby, I met a Spanish man in his thirties who was working on his laptop doing related things to open a hotel in Chefchaouen. I also met a Muslim mature man who seemed to not have much to do. During my time in Chefchaouen, I spent some time talking with them about different topics including religion. It was hard to do it when both were smoking marihuana. Every time they started, I then would leave. The Muslim man was hard to talk about religion, he would immediately interrupt and talk about Islam as soon as we touched anything religious. On my first day in Chefchaouen, in one of the shops, I met a Korean tourist girl. We chatted and walked together for some time and then separate. Later on I found a nice place to eat. I continued taking pictures and seeing shops. I kept walking around realizing that it was getting dark. I bought some local things to eat, including the popular goat cheese in Chefchaouen. I then decided to look for bread to eat it with the cheese. When walking by one of the main streets in the newer parts of the town, a fit male in his early twenties approached me and asked me if I wanted marihuana, shish, and a long list of other terms I don’t recall. I just said no and kept walking. He walked next to me me asking me the same things in one of the other four languages I mentioned before. I said no again while speeding up gradually. He insisted and kept following me telling me that he could get whatever I wanted for me. I said no again, but he kept following me offering me all sorts of things. The walk continued, as well as his questions. He asked me what language I spoke. I was annoyed by his insistence. He switched between those four languages asking me what I wanted and where I was going. Realizing that he wasn’t getting much from me, he started to tell me in English and in some unpleasant attitude, “you tourists have paranoia. Paranoia.” He even tried to make eye contact, but I kept looking in front of me and sometimes to other people. I can’t remember what else he said. I only remember the word paranoia because he said it quite a few times while following me. I kept walking until he finally left me alone. I tried to make sure I left him well behind. I continued looking for a place to buy bread. I couldn’t on that area, so I went for some different streets with no luck. I went back towards my hotel through another route. But when I saw a few people chatting in a corner, I decided to give it one last shot. I approached randomly one of them who had his back turned to ask him about any bakery nearby. “Excuse me”, I said. He turned back and, to my surprise, it was the exact man that had just followed me a few minutes before. I finished my sentence with a dry tone and no facial expressions, “do you know where I can buy bread?” Without too much thinking and normal gestures, he quickly told me where. Either he was a good actor or he didn’t recognize me in the dark. I immediately walked away and found a place to buy bread. I admit, I wasn’t kind to that person. I didn’t like his approach and insistence. I wasn’t patient. In life we do many things that may have nothing to do with selling or offering things to others; just being ourselves may frustrate others in different ways. Our comments and actions may not always be welcome and may hurt or bother those around us. The way we are in a relationship, the way we serve, the way we behave in class, at work, or in church may be something we are not aware of. I don’t doubt we all can always benefit from an extra dose of empathy and patience. But you tell me, what do you think? What would you do if after giving a “no”, people keep insisting on trying to sell you something? And what if they even followed you? What would you do? What would you say is the best thing to do? And now here is Chefchaouen seen from my camera. Share if you like these pictures. Small alleys in Chefchaouen. White and blue everywhere. 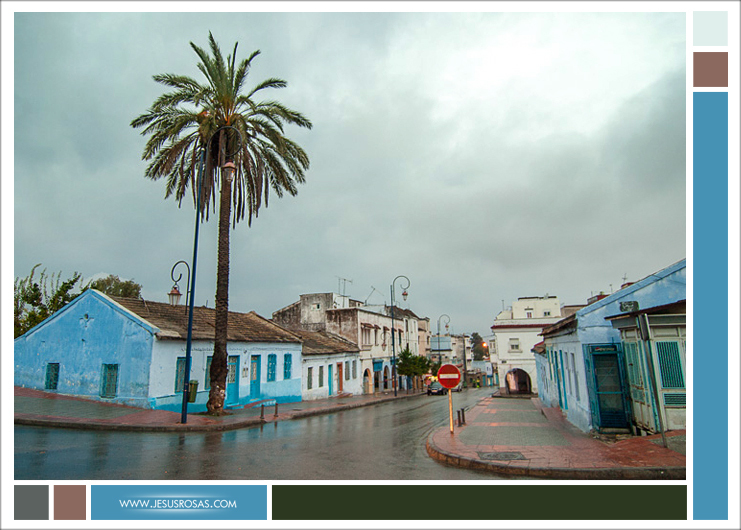 And in one of the pictures here you can see one of the many hotels you will find in Chefchaouen. According to the Wikipedia, there are about 200 hotels and most of the visitors come from Spain during Semana Santa and Christmas. Picture 1: This alley had arches connecting both sides of the walking area. There is a narrow line on the cobblestone that called my attention. Notice the Moroccan flag also. And the way to measure the consumed electricity is something I didn’t see until I saw this picture a lot later. Picture 2: Here is another nice street, but look at the house on the left. I liked the pointed horseshoe door and plants falling down. Picture 1: Is that one of the hobbits’ house? Picture 2: How many plant pots can you see? I liked how they were scattered. Picture 1: The home on the left caught my attention. It looks like a blue squared was painted on the white wall and then it partially “sled” down and now the bottom got on the sidewalk. Picture 2: There were several cool narrow stairs too. Picture 3: Many homes in Chefchaouen are built in three-story structures. Picture 1: A nice painting on a wall portraying a door. The words in English and Arabic around the arch say “Welcome to Xauen” (a short nickname for Chefchaouen). Picture 2: Beautiful outfits. Somehow I linked the woman in blue to the painting in picture 1. On these pictures you can see some native handcrafts. Wool garments, blankets, and rugs seem to be among the most popular ones. Picture 1: Handmade wool blankets for sale. Picture 2: Depending on the street you are, you will see many people buying and selling goods. Picture 3: The woman on the left is buying some garlic and other plants. The other woman, also on the left is cutting some pumpkins. Notice their outfit. Picture 1: Chicken tajine (also spelled tagine). This may be the dish that I liked the most of Moroccan cuisine. 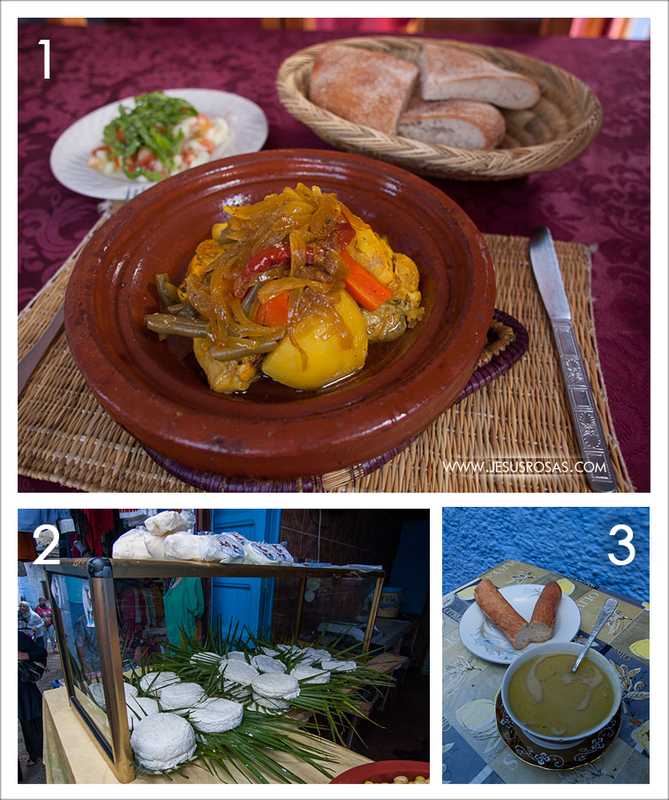 Read more about it in my post What Do People From Morocco Eat? Picture 2: Native goat cheese is a popular product to buy. Picture 3: Bessara, a delicious thick fava bean and/or green pea soup. It also has some spices and olive or argan oil. It is eaten with bread. 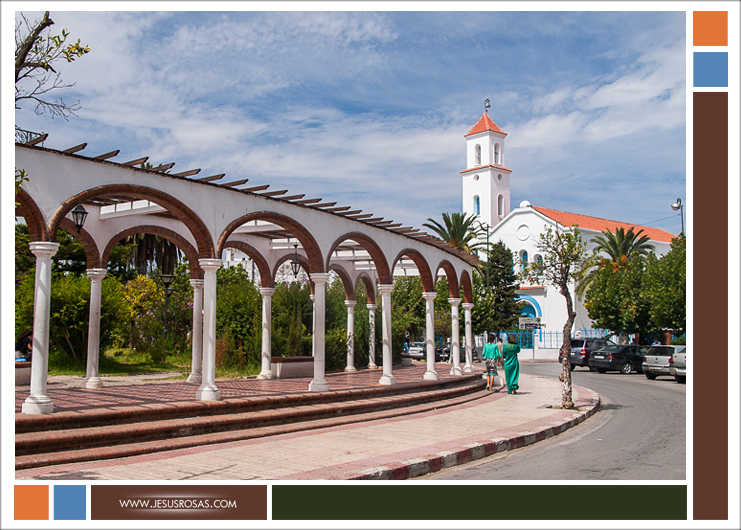 Plaza Mohammed V, a roundabout with benches and trees in front of a former Catholic church simple called la iglesia (the church). The al masjid al-a’dam mosque, La Grande Mosquée or The Great Mosque was built in the 16th Century by Mohammed Ibn Ali Ibn Rachid. This mosque has a rectangular nave with four entrances, none of them open to non-Muslims so I couldn’t enter. 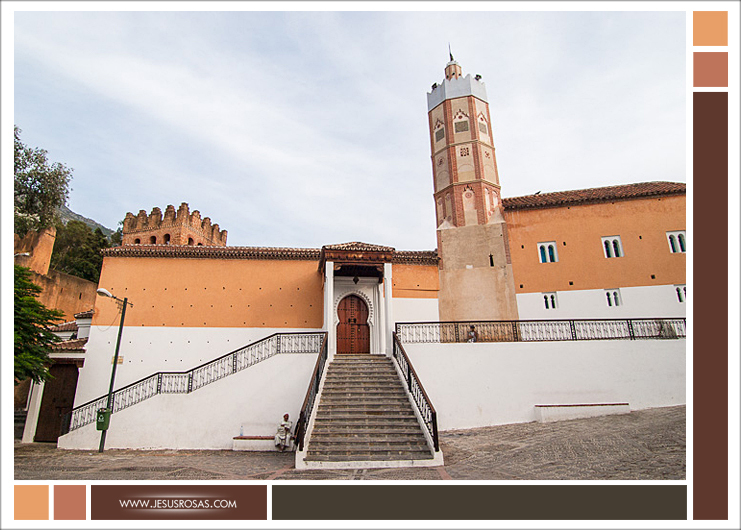 The mosque has an octagonal minaret inspired in la Torre de Oro from Sevilla. 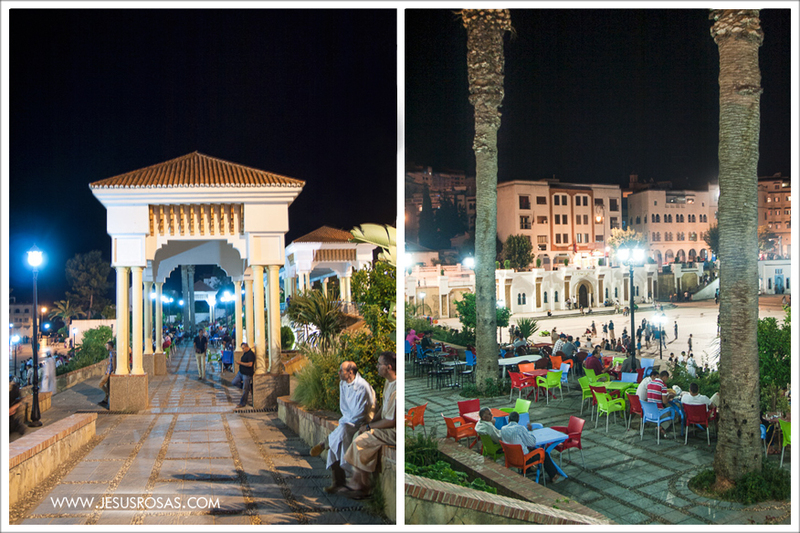 Right outside the fortress or kasbah you will find Plaza Uta el-Hammam. 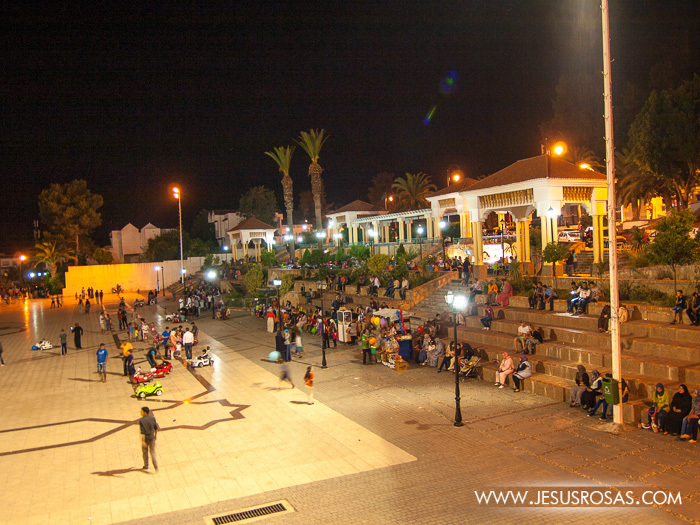 This plaza has a pine tree and a pedestrian area where many vendors mingle around to sell products. You will also see many tables for dining during the day. I couldn’t find the official name of this place. Google maps shows it as “Centre Sportif” which means sportive center or sports center. It is next to the Hospital Mohammad V.
More pictures around the “Centre Sportif” next to the Hospital Mohammad V.
An old Jewish cemetery in the southeast of the city. It is on a hill. 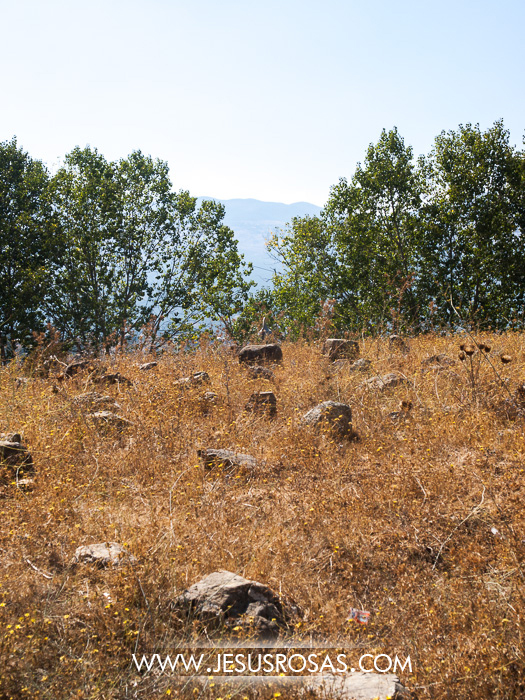 There is an entrance at the top of the hill and at the bottom. Many Jews settled in Chefchaouen in medieval times after the Spanish reconquista. 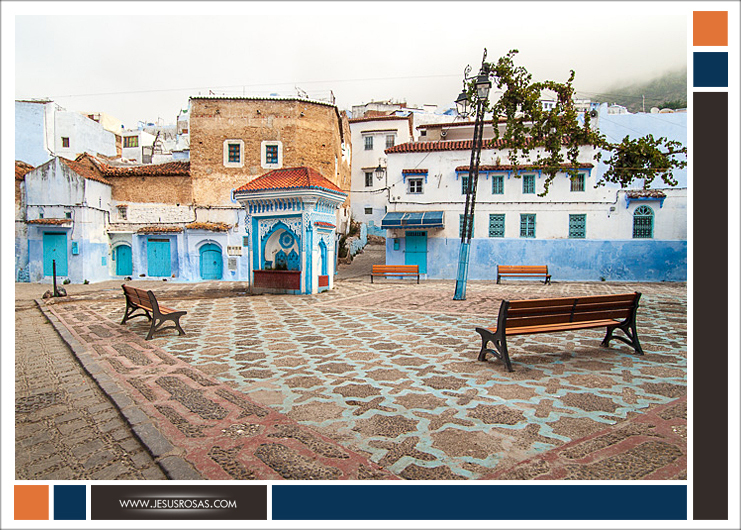 Chefchaouen was originally located on the side of a mountain, and now it has expanded to contiguous hills. 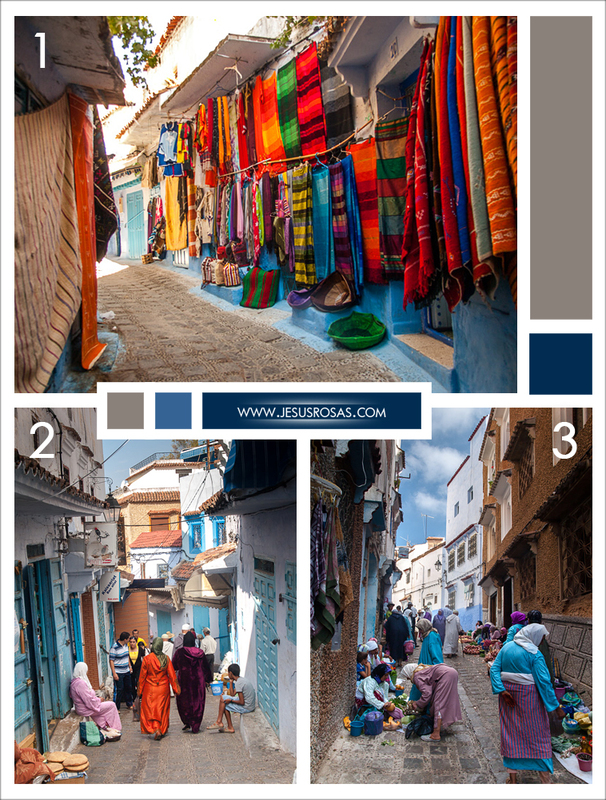 Here are three views of Chefchaouen. One of the last pictures I took in Chefchaouen while waiting for my taxi on my way to Spain through Tangier-Tarifa ship. After a couple of nice days in Chefchaouen, my next stop would be Tangier so I could get on the Tangier-Tarifa ferry on my way to Madrid, Spain. I left early on a rainy morning. I went one street down from Plaza Mohammed V towards a taxi station. I was going to get in a share grand taxi. Most of them old four-door executive Mercedes, apparently from the 70’s or 80’s. I had to wait until it there were more passengers. A local girl in the corner holding an umbrella and a purse was also waiting. A few minutes later came another local in jeans and shirt. After some more waiting a couple of other passengers came. I put my luggage in the trunk, sat behind the driver with three men on my right and the girl and another woman in the front passenger seat. Yes, it was packed, but those cars are wide and since I’m not that big, I fitted well. My ride took less than two hours to Tangier without any problems. You may want to read: What Do People From Morocco Eat? Now this was my trip to Chefchaouen. I have more pictures of Chefchaouen to share with you, but that would be in a future post, so keep coming or subscribe to the blog to receive notifications of new posts. 2. “Chefchaouen.” Wikipedia. Wikimedia Foundation, n.d. Web. 27 May 2015. <http://en.wikipedia.org/wiki/Chefchaouen>. 3. “Al Wahda Dam (Morocco).” Wikipedia. Wikimedia Foundation, n.d. Web. 30 May 2015. <http://en.wikipedia.org/wiki/Al_Wahda_Dam_(Morocco)>. 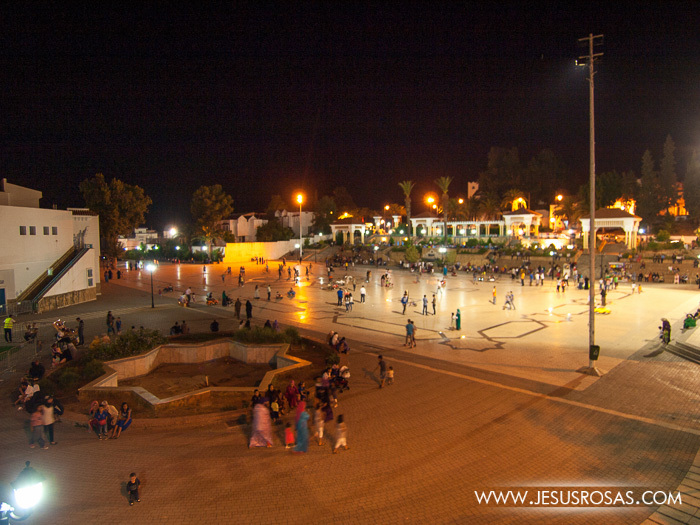 About the pictures: All pictures were taken by Jesús Rosas in September 2013.